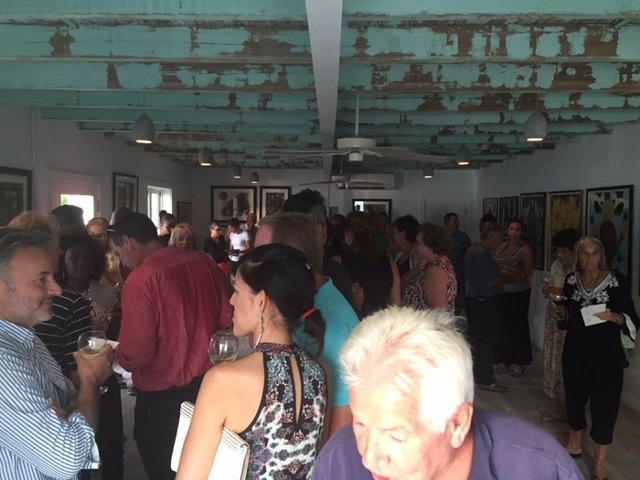 On Saturday, September 10, 2016, the National Art Gallery of the Bahamas opened a one-week pop-up space in Governor’s Harbour, Eleuthera showcasing an exhibition entitled “Max-Amos: A Tale of Two Paradises,” composed of selected works from the National Collection by Bahamian master artists Amos Ferguson (b. 1920 Exuma - d. 2009 Nassau) and Max Taylor (b. 1939, Nassau). Though the drive of the visit to Eleuthera is mainly educational in focus teachers and students will not only see the exhibition but participate in a workshop facilitated by NAGB staff at the Haynes Library, a partner in the project. “Max-Amos: A Tale of Two Paradises,” is open every day this week for the general public until Friday afternoon and is free of charge. On Tuesday night, 13th September, at five p.m. a free lecture about both artists and their practice will be given at the Haynes Library by NAGB staff, Abby Smith (Community Outreach Officer) and Darchell Henderson (Gallery Registrar). The lecture is free of charge, and the exhibition will be open before and after – but not during – the lecture, for viewing until approximately 7:30 p.m. The exhibition is located in the “Pink Loft” on the corner of Haynes Avenue, in the former Pyfrom’s Liquor store, or Kalik building.